Doné's | You deserve it! Doné’s is a top to toe beauty salon providing excellent service in a wide variety of treatments. Take the hassle out of your daily makeup routine. Donés is a beauty salon that has been in the industry for over 15 years. Starting small, the Donés baby is now full sized and very proud of the growth she achieved over the years and service she provides. Donés is very proud of the “Top Class” therapists and treatments they provide. We strive to keep all of our clients happy, it is very important to give service above the expectations of clients and above the average therapist and salon. We want our clients to be completely satisfied with the service they receive and we go the extra mile to attain that. We specialise in Permanent make-up, Lash Extensions, Facial treatments, Peelings, Dermaroller treatments, Gel and acrylic nails, Hand and foot treatments as well as Waxing, Threading and Sugaring and Make-up amongst other treatments! We also make up special Bridal packages just to suit the Bride to Be! We are centrally located and easily found between the Tempe back gates and St Andrews school in Dan Pienaar Drive. Donés also offer courses in Permanent Make-up and Lash Extensions. Donés distributes PNB, Lasting lashes, PMS a well as recently bringing in some Cherry ink products. We use superior products with all our treatments and stock products which are tried and tested and which we have got the best results in! Come visit us for all your beauty, pamper and aesthetics needs! 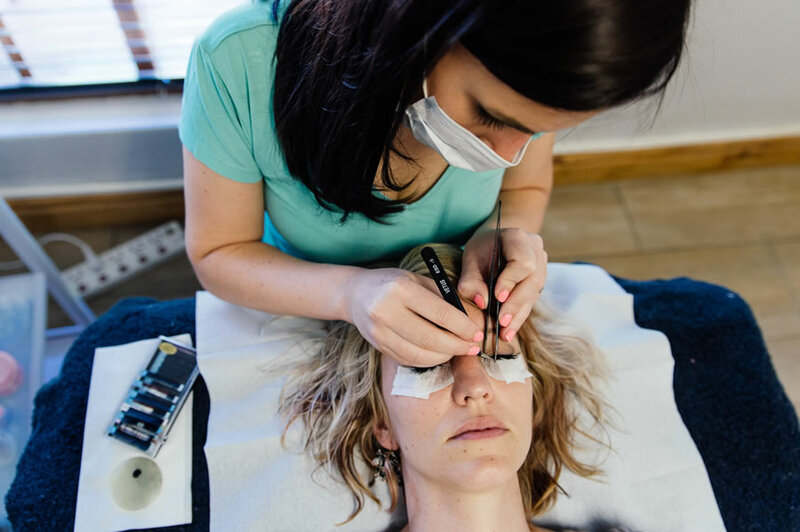 Professional Nail & Beauty Supplies and Lasting Lashes are the leading suppliers of all nail, beauty and eyelash extension products & training to the Free State market. Our Bloemfontein Branch has an 8am – 6pm walk in store and Saturdays 8am – 1pm. Orders can be placed via email info@dones.co.za.